I started hand quilting the Tree-of-Life. 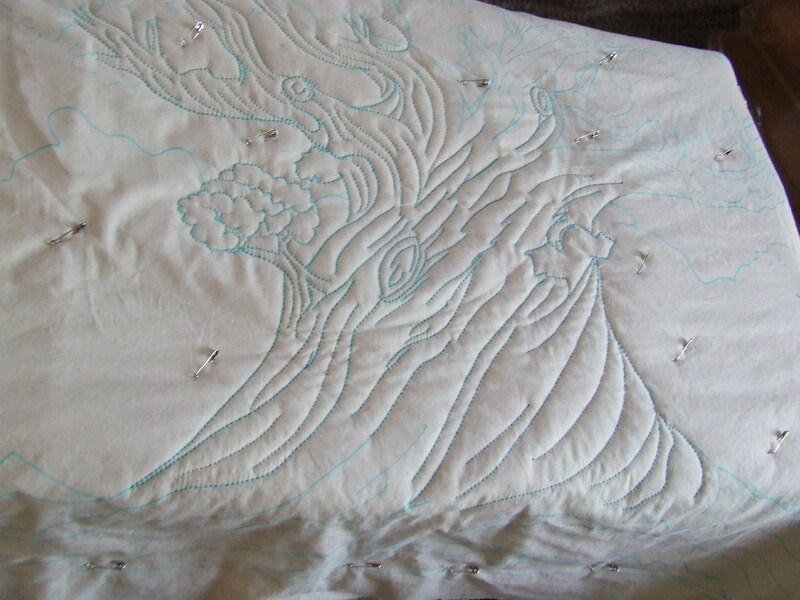 I am using brown thread for the trunk, and green for the leaves. 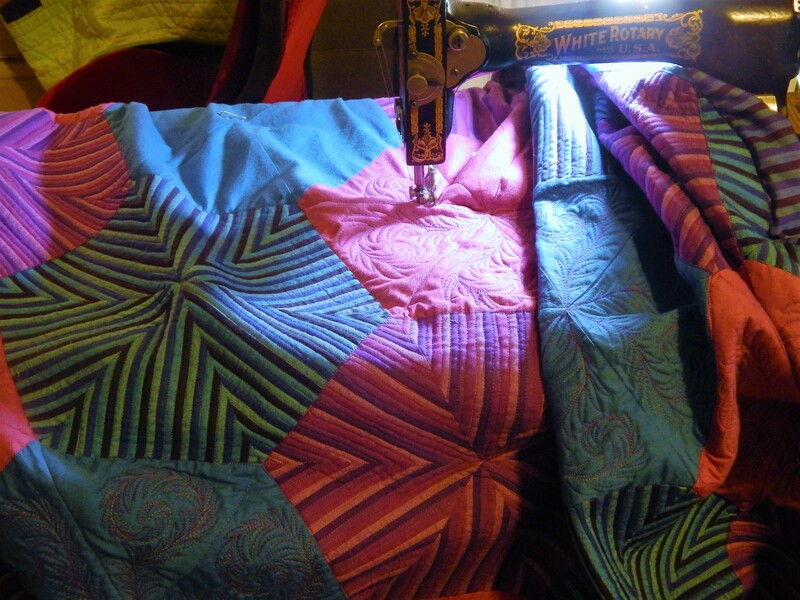 The batting is wool and it quilts like a dream!…the hardest part is threading the needle. I am using a #11 needle and the eye is so small I almost need a magnifying glass to find it. 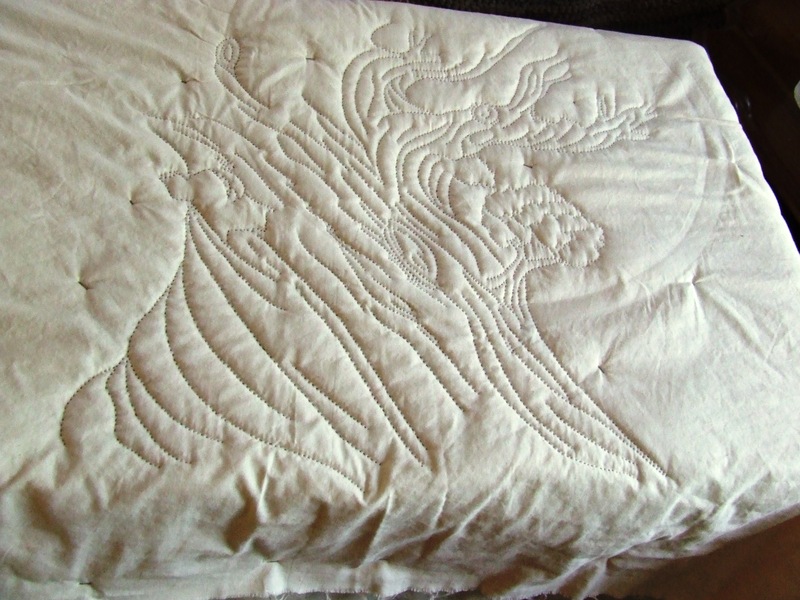 This entry was posted in Quilts and tagged hand quilting, Quilting, Quilts, tree of life, whole cloth quilt. Do you ever sleep?? I can’t believe how much you’ve got done of this already! It is going to be stunning. Good Grief Tim !! I agree with Cathi…You need a hobby….Lol!!! Enjoyed seeing pics of the flannel log cabin too. 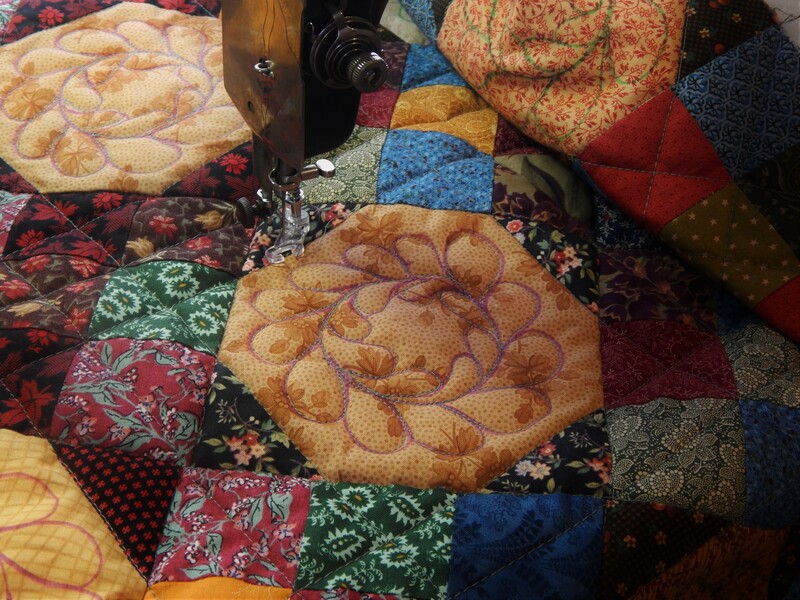 I could use that quilt here—it’s been raining here for days (seems like)! I was thinking about hobbits as I drew the tree! Looks good and it is going to be GREAT! 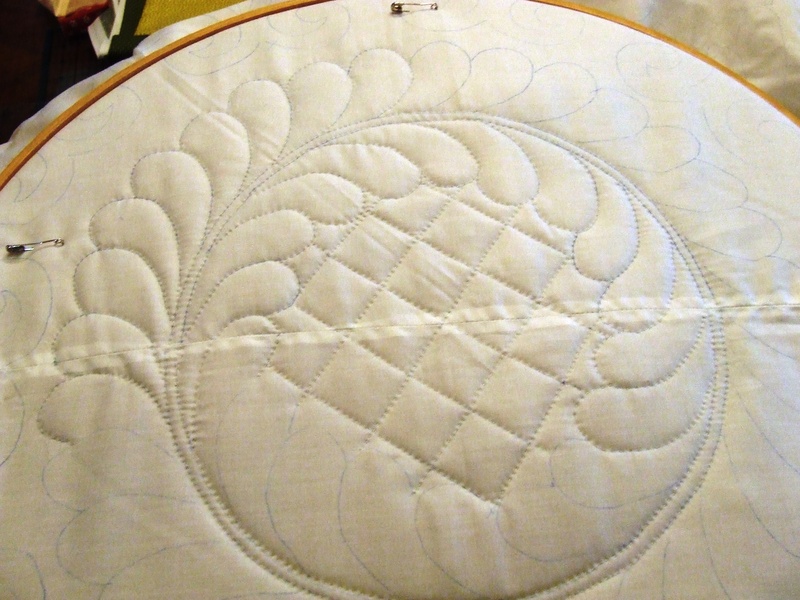 Glad that you are enjoying quilting with the wool wadding!! 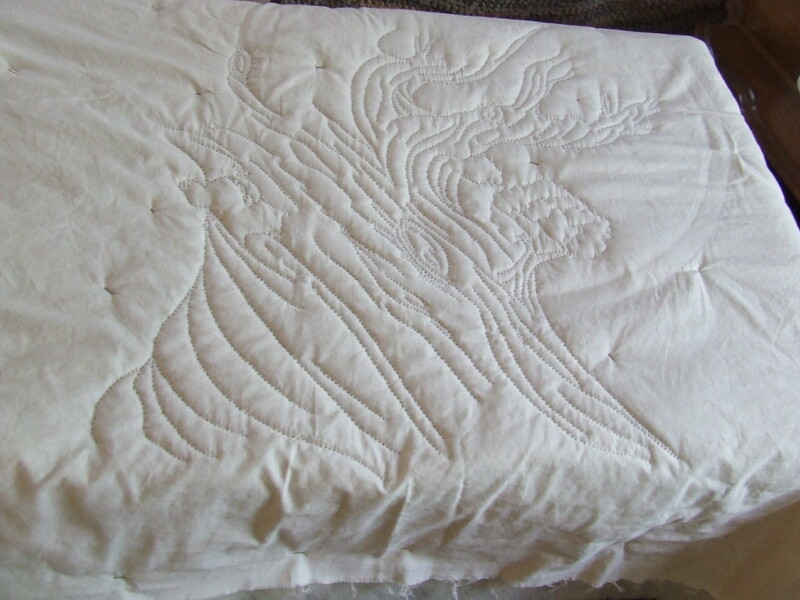 I have used it on a few quilts now and it sure is easy to quilt. My goodness! 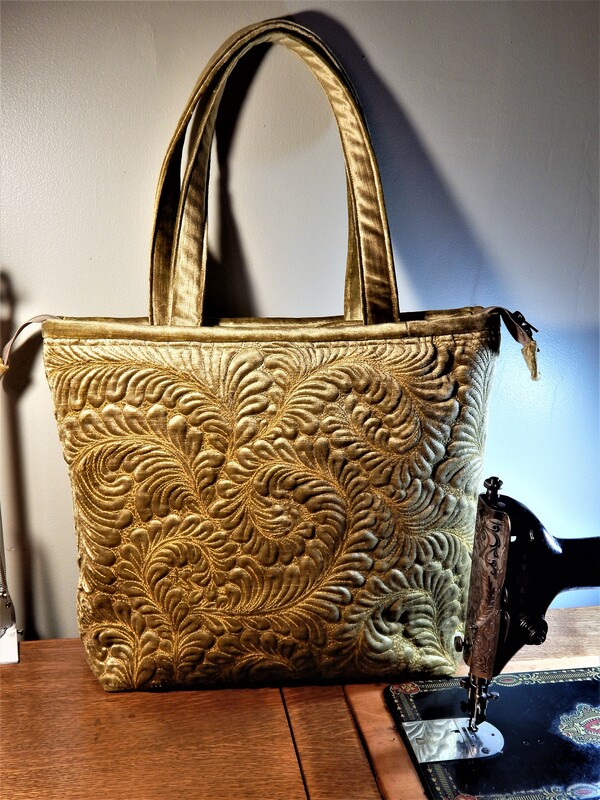 Are your quilting hands bionic or something? You amaze me. This is just going to be beautiful! !